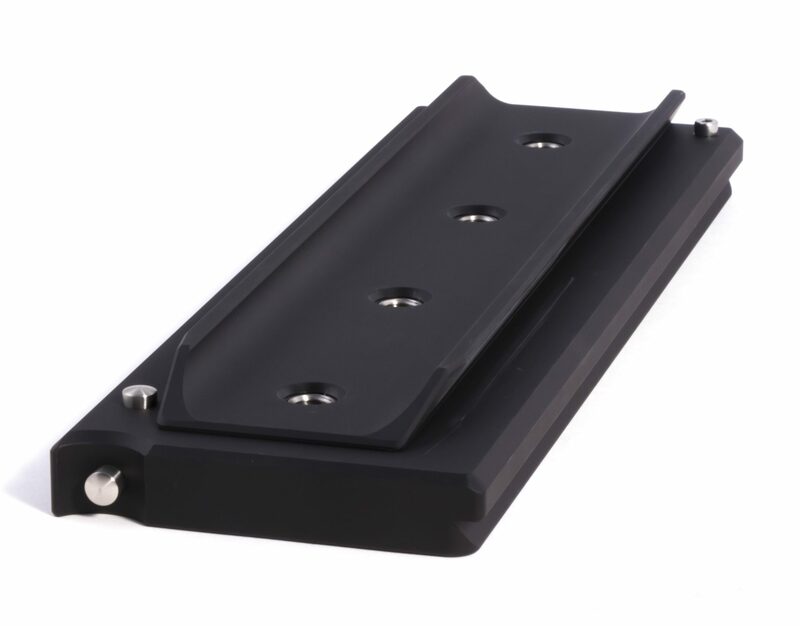 These camera support plates are made from high strength aircraft grade aluminum for extreme rigidity and hard anodized for extra durability. 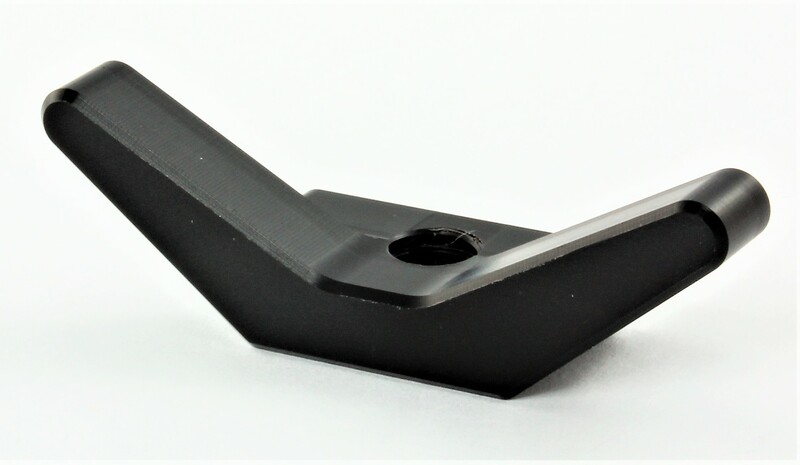 These lens support brackets come in a wide range and are made from high strength aircraft grade aluminum for superior rigidity and durability. 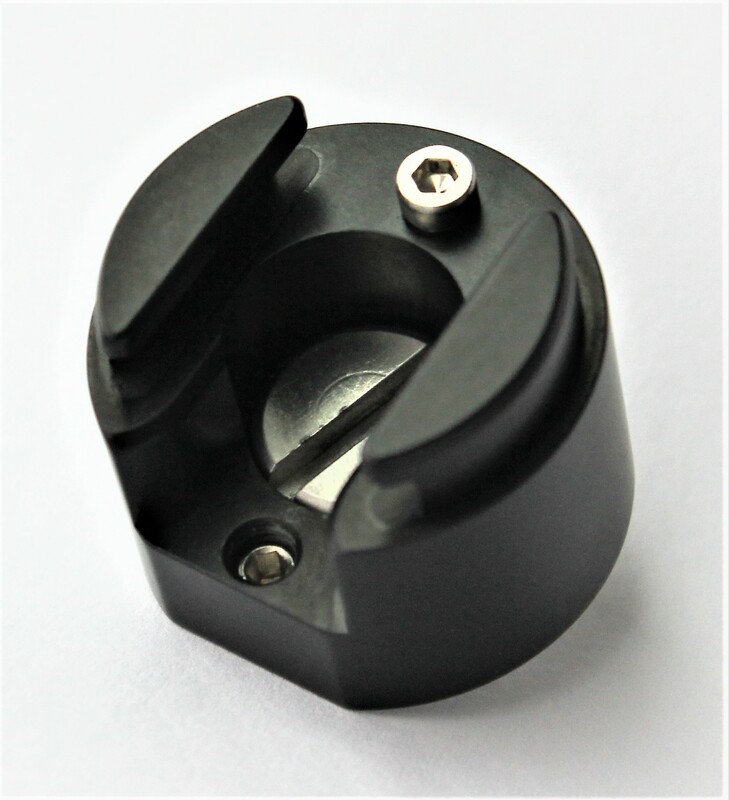 Our Quick Mount components are made from high strength aircraft grade aluminum for excellent rigidity and hard anodized for long lasting durability. 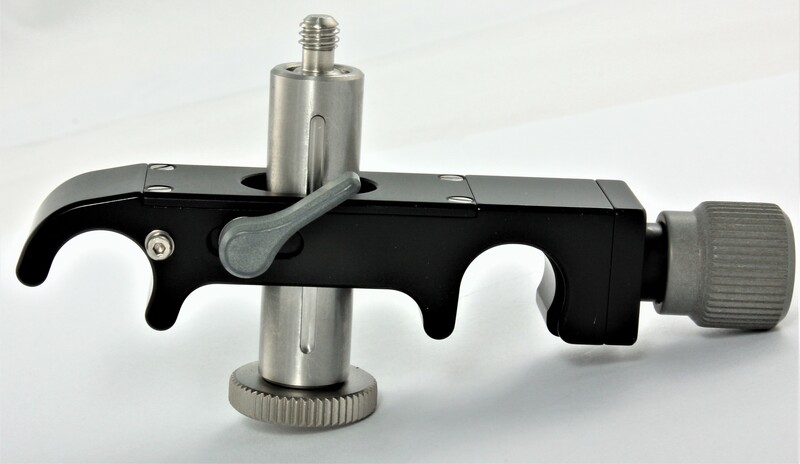 Quick Mounts allow you to quickly and effortlessly attach securely and remove accessories such as articulating arms for Monitors, arms and brackets for cine-tapes and other detachable components. 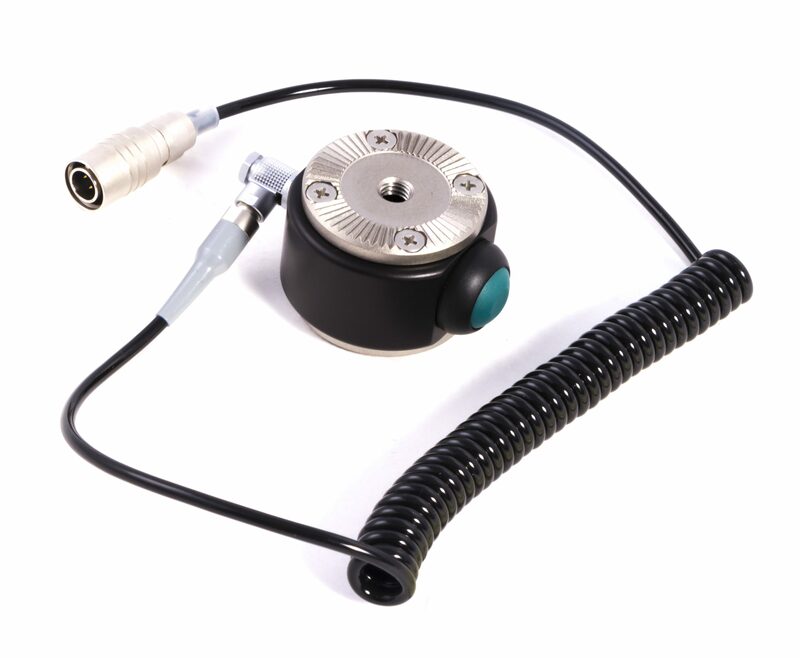 This two-part system comes in a variety of configurations for mounting securely to various articulating arms and accessories as well as attachment to a wide range camera systems. 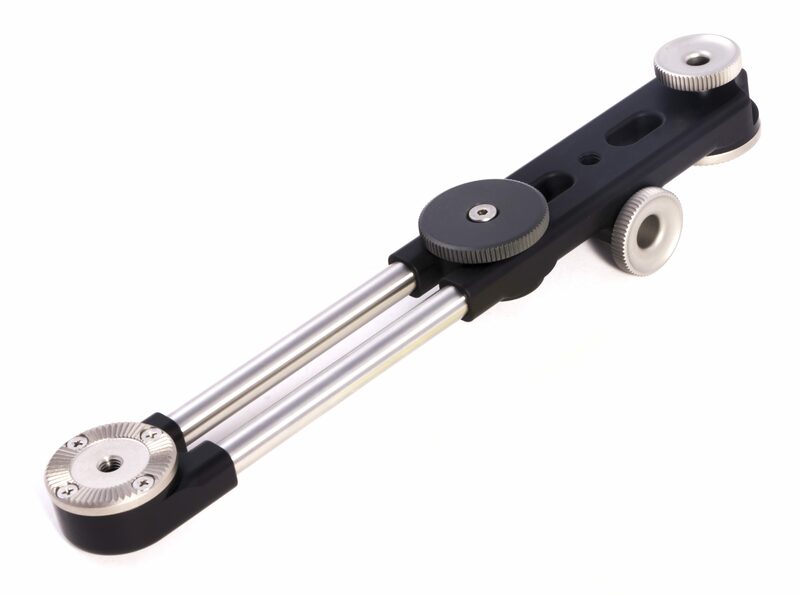 These camera iris rods are precisely ground for exceptional size accuracy and consistency and made from high strength stainless steel for extra wear resistance and durability. 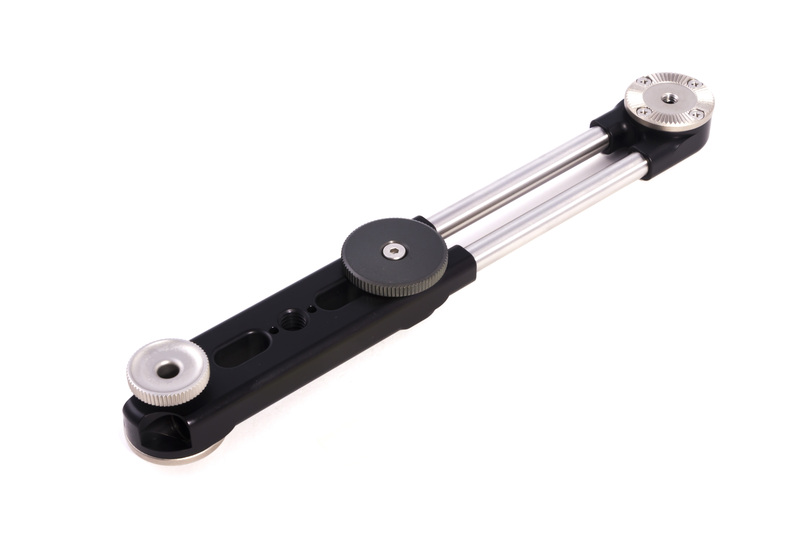 Iris rod lengths range from 4" to 24". 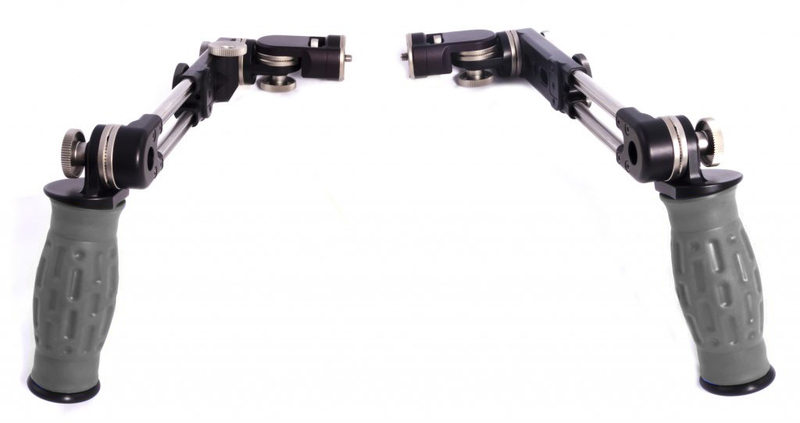 These Steadicam and camera accessories are made from high strength aircraft grade aluminum for excellent rigidity and durability. 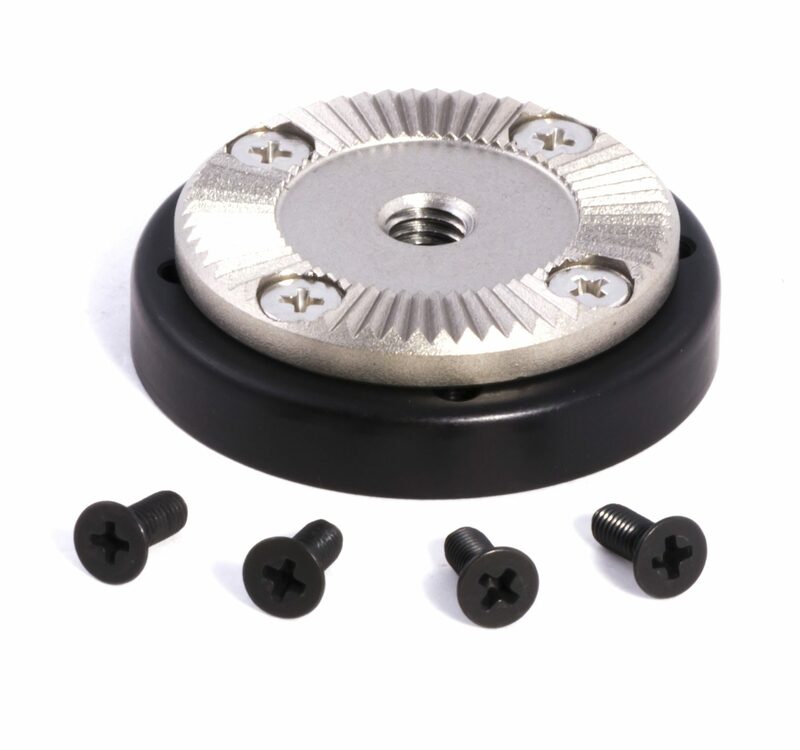 A world renowned, battle tested and proven industry standard. 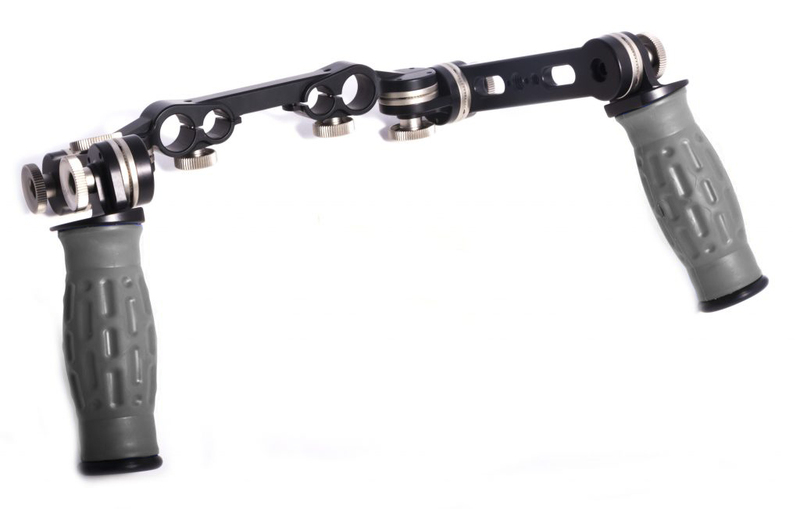 All Spidergrips handsets are made from high strength aircraft grade aluminum for excellent rigidity and durability. 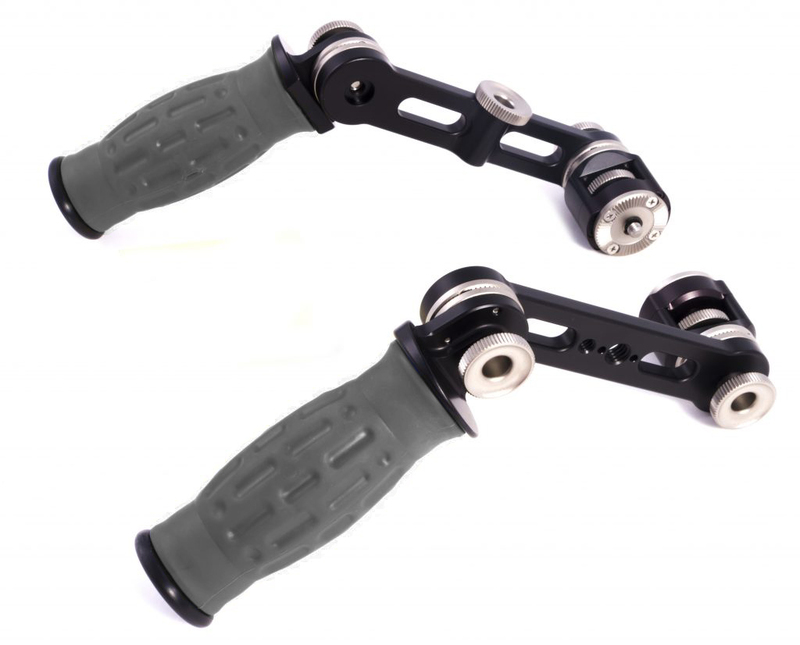 They consist of fully interchangeable components and are designed to be very modular multi-use handgrips. 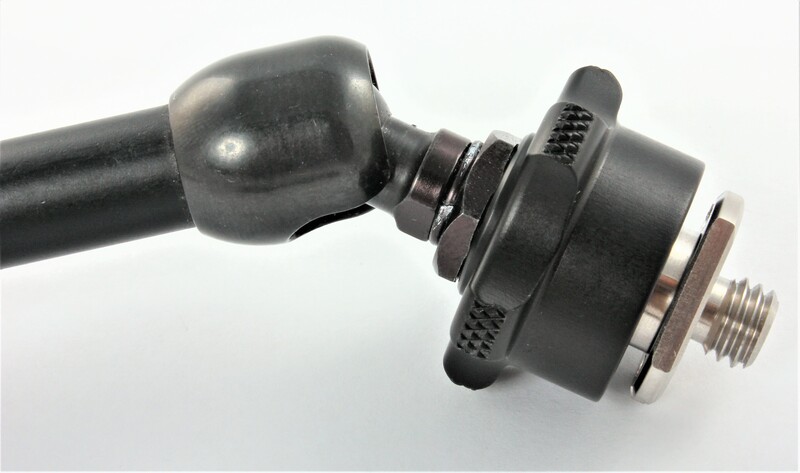 All Spidergrips handset components are made from high strength aircraft grade aluminum for excellent rigidity and durability. 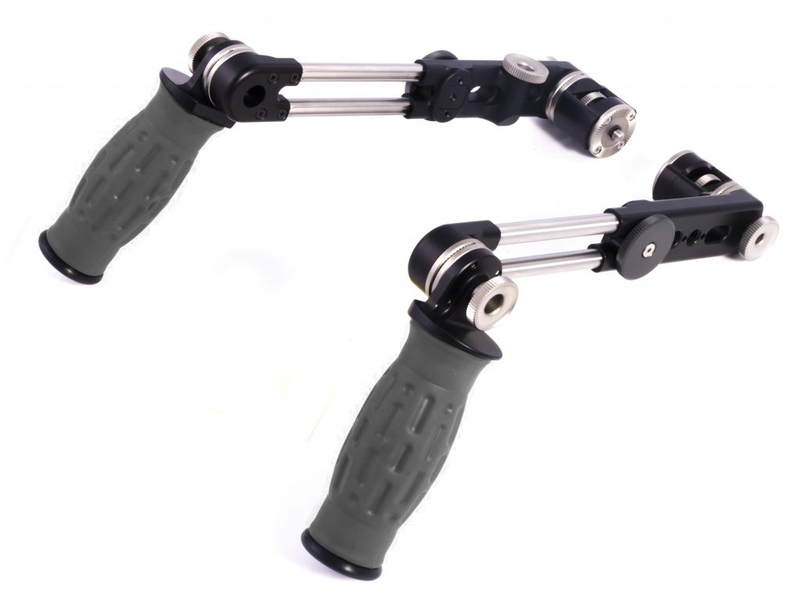 They are fully interchangeable and are designed to be very modular multi-use handgrip components. 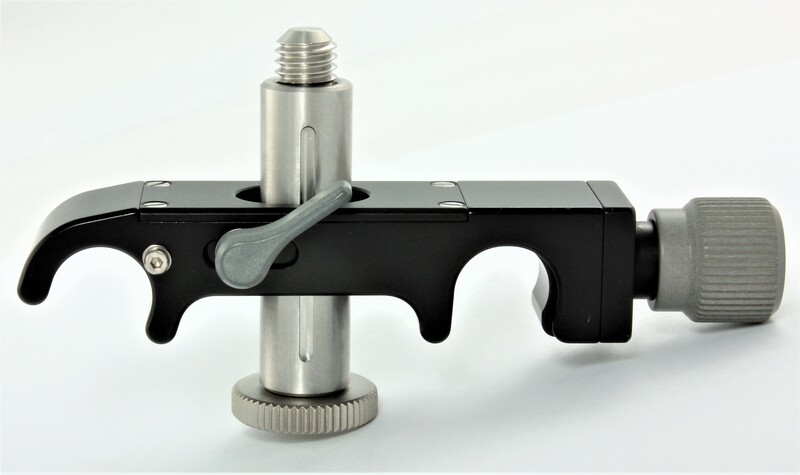 All Spidergrips handset accessories are made from high strength aircraft grade aluminum for excellent rigidity and durability. 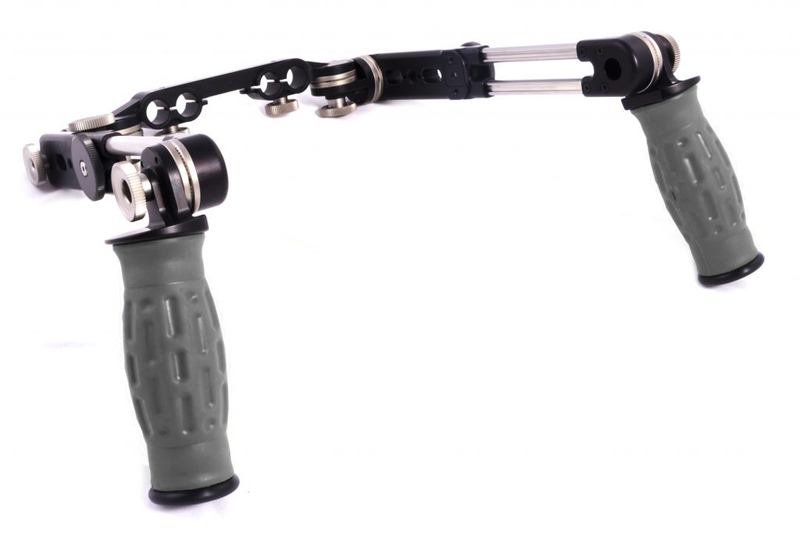 They consist of fully interchangeable components and are designed to be part of our very modular multi-use handgrips. 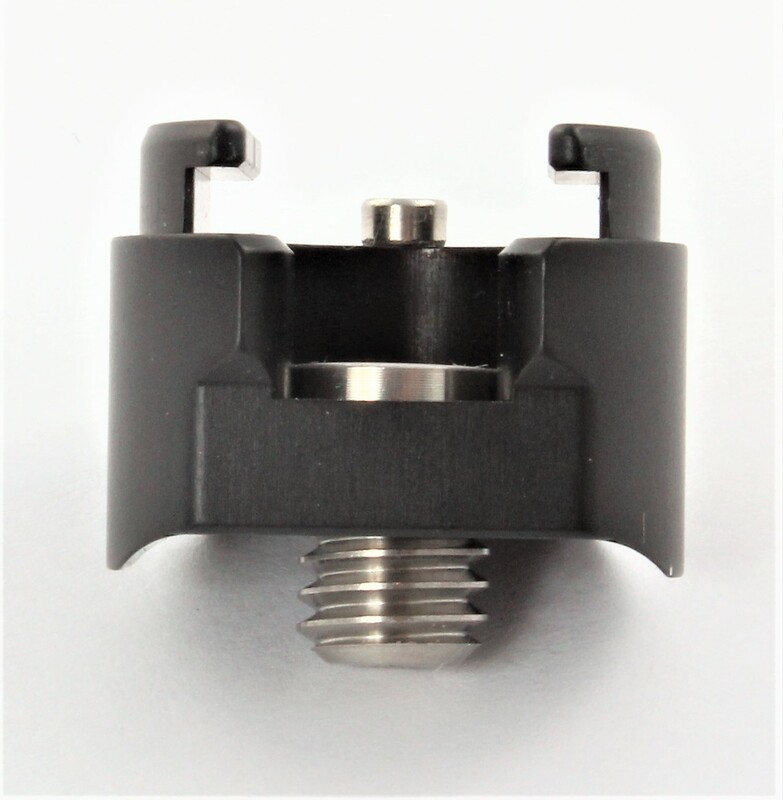 All Spidergrips on/off modules and components are made from high strength aircraft grade aluminum for excellent rigidity and durability. 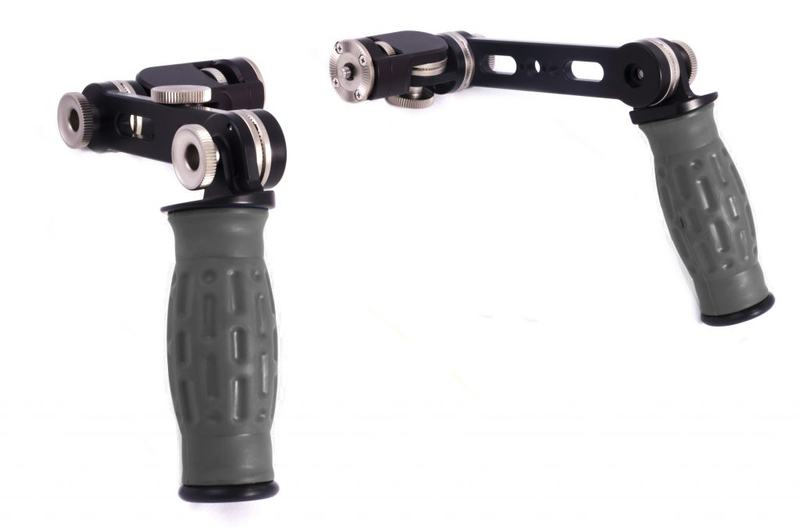 These camera control modules are fully interchangeable with other components and are designed to be part of our very modular multi-use handgrips. Box dimensions: 2.7 x 4.9 x 24 in. Box dimensions: 0.8 x 1.7 x 4.9 in. 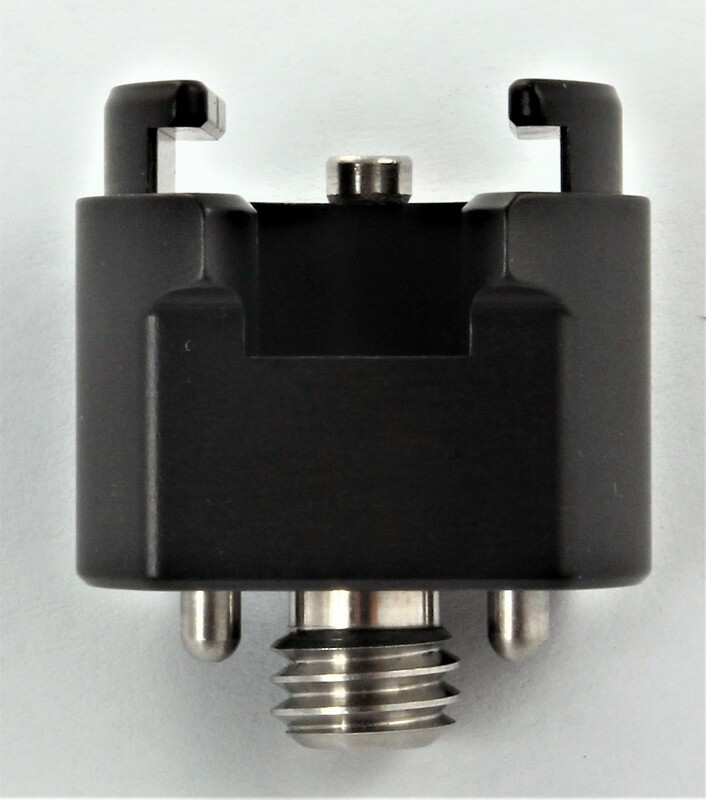 Box dimensions: 0.8 x 1.7 x 5.1 in. 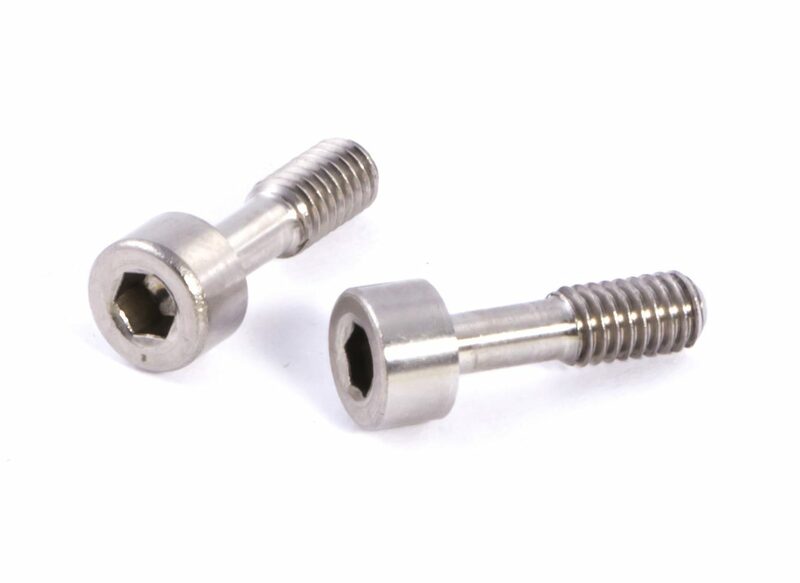 Set of 2 M4 replacement mounting bolts for B3-15 and B3-19 rod support brackets. 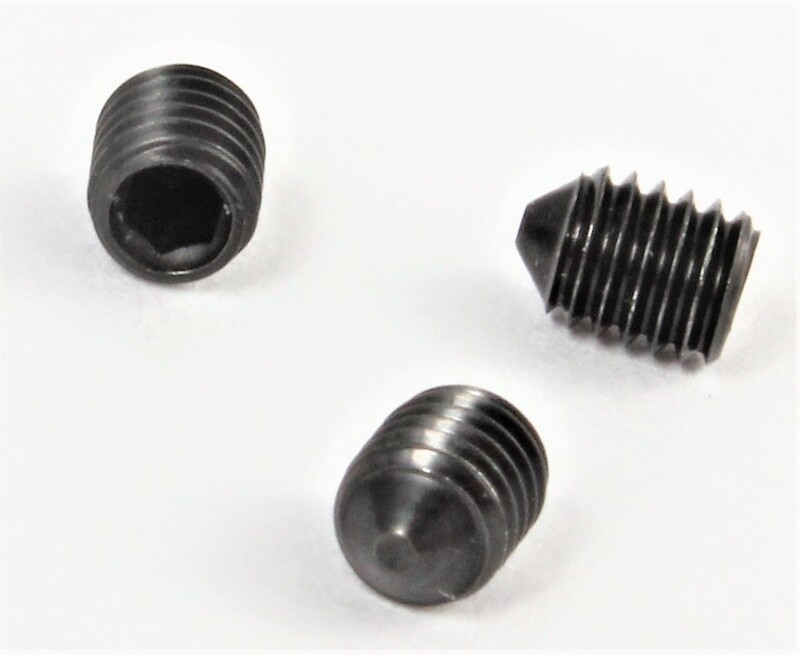 2 bolts per package. 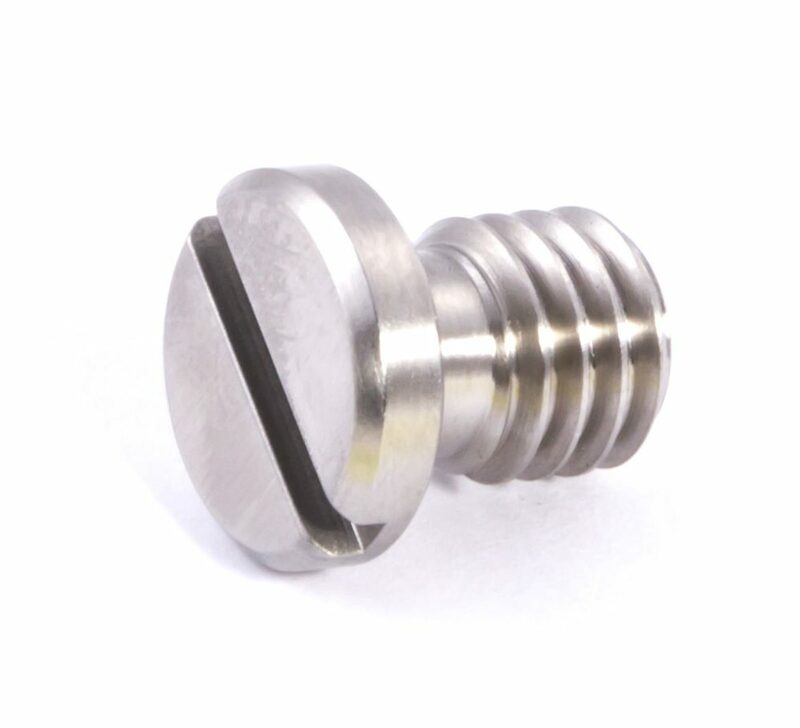 Standard 1/4-20 UNC thread stainless steel slotted mounting bolt for QR plate. 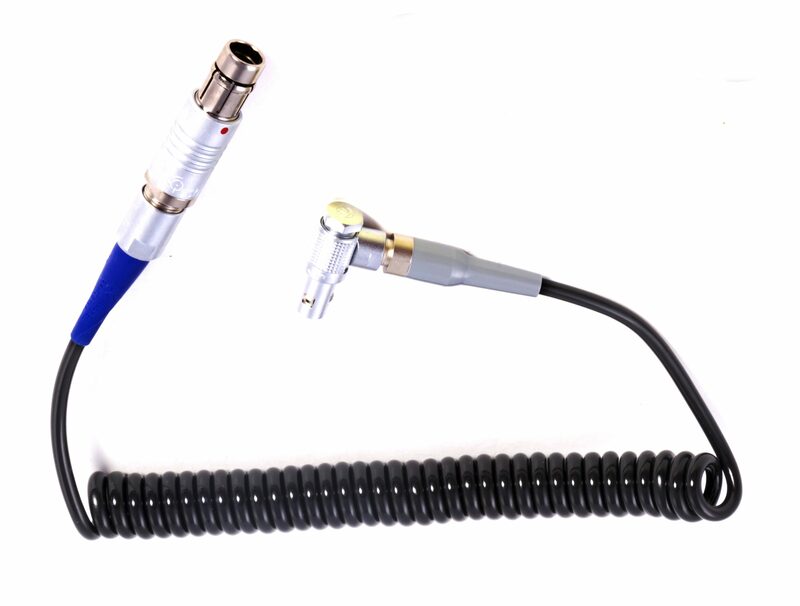 Box dimensions: .5 in. 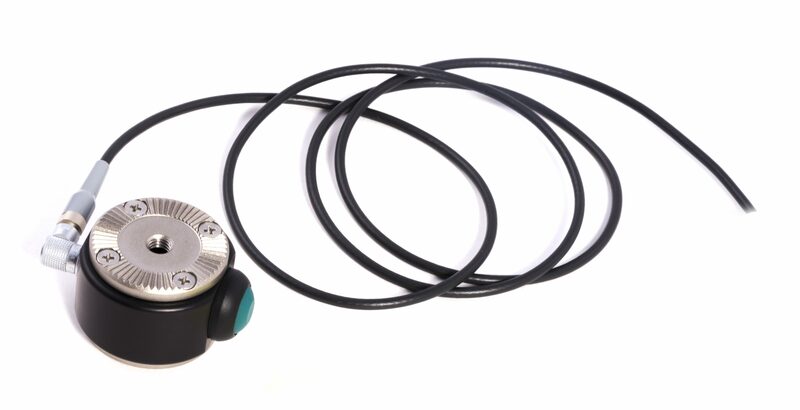 x .535 in. 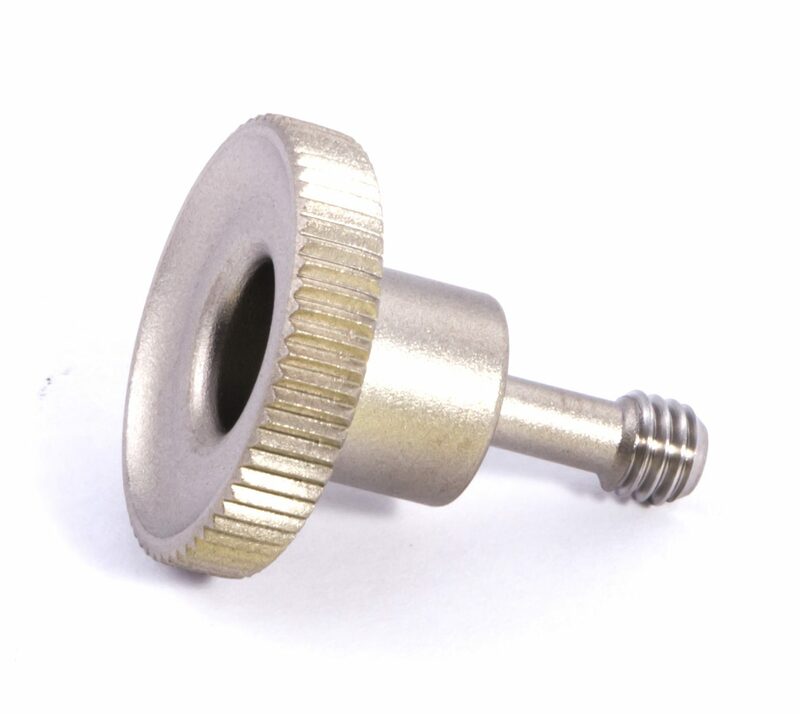 3/8-16 UNC thread lens post tie-down bolt for 15SLSB or 19SLSB studio lens support bracket. Box dimensions: 1 x 1.4 in. 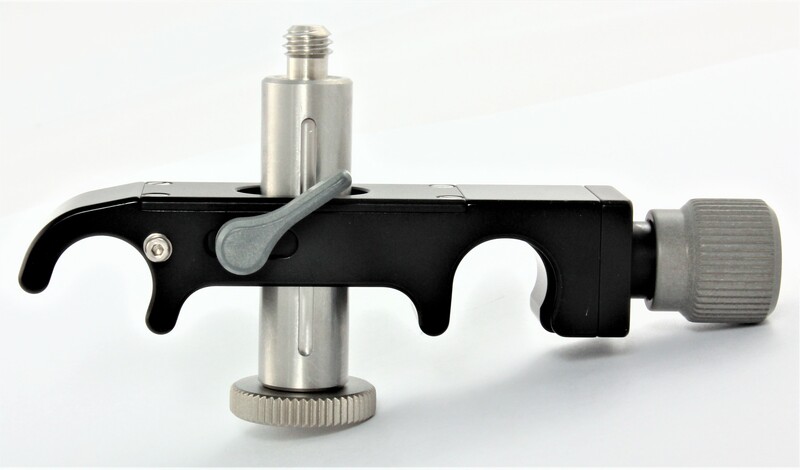 Arri LWS mini rod (LW rod-60mm hole spacing) lens support bracket. 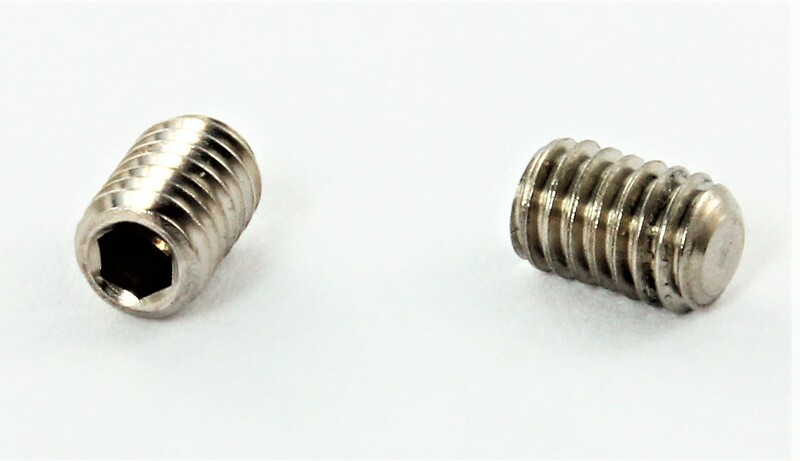 Comes with 5/16-18 threaded lens tie down bolt. 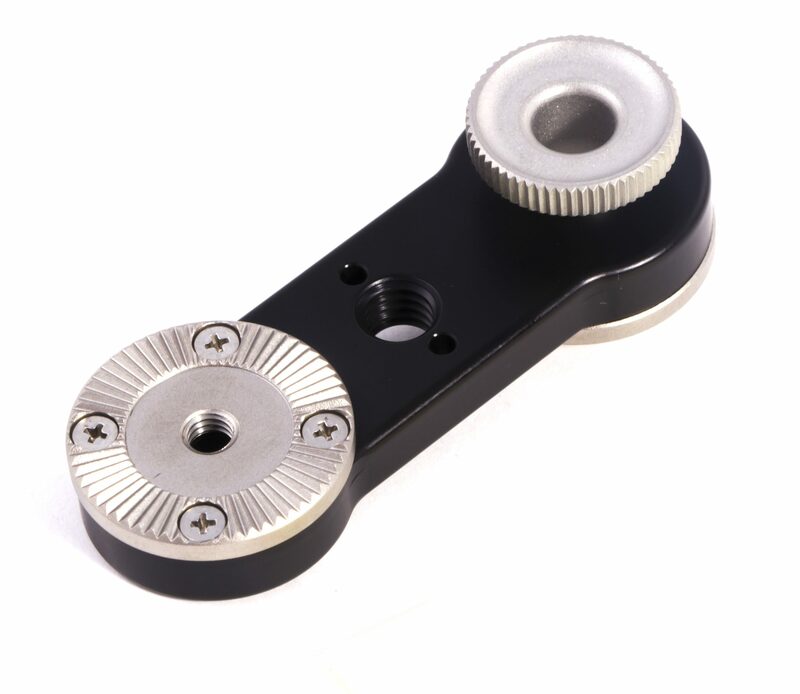 3/8-16 threaded delrin lens cradle-rest for Arri mini rod lens support bracket LSB-M60. 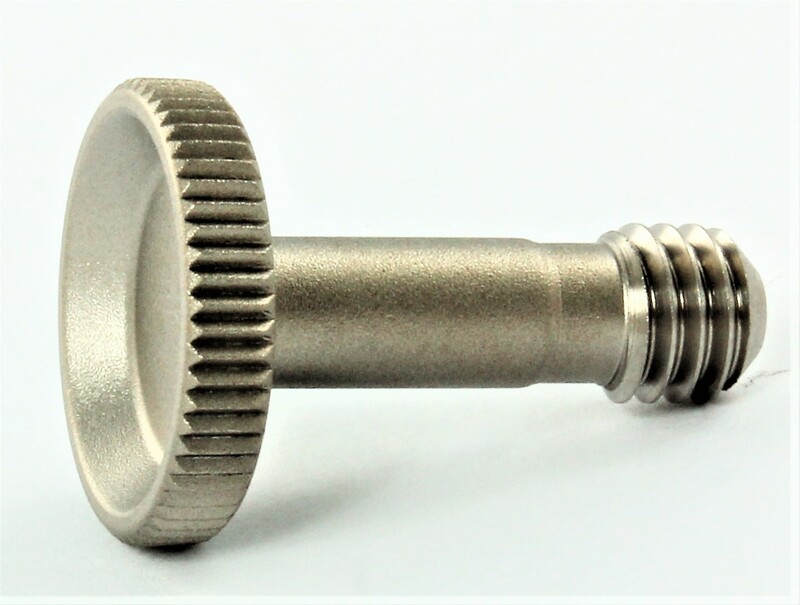 Threads onto M60-375 lens tie-down bolt. 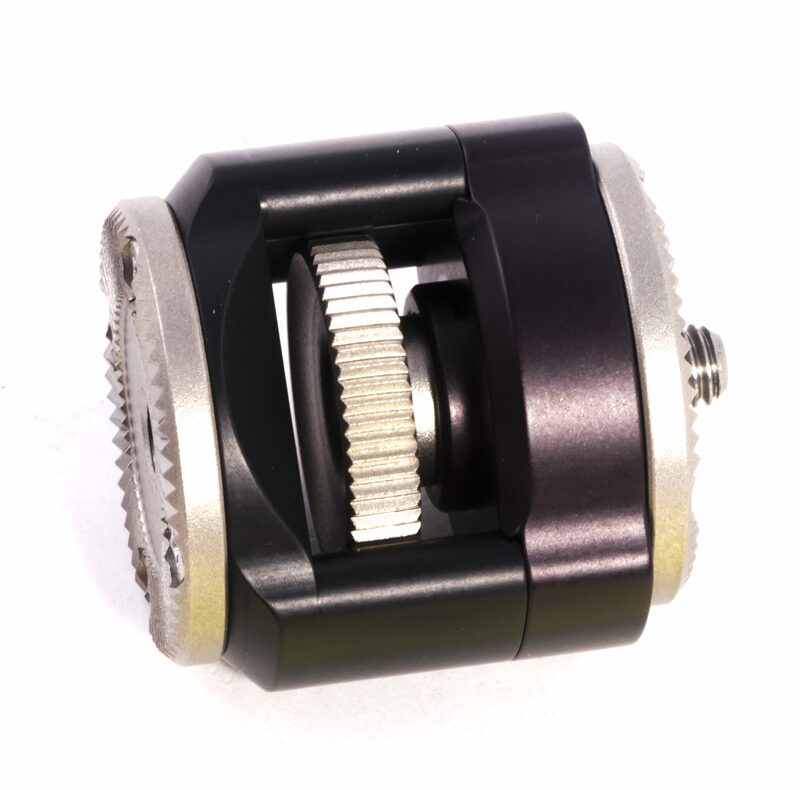 Box dimensions: .75 x 2.5 x 1 in. 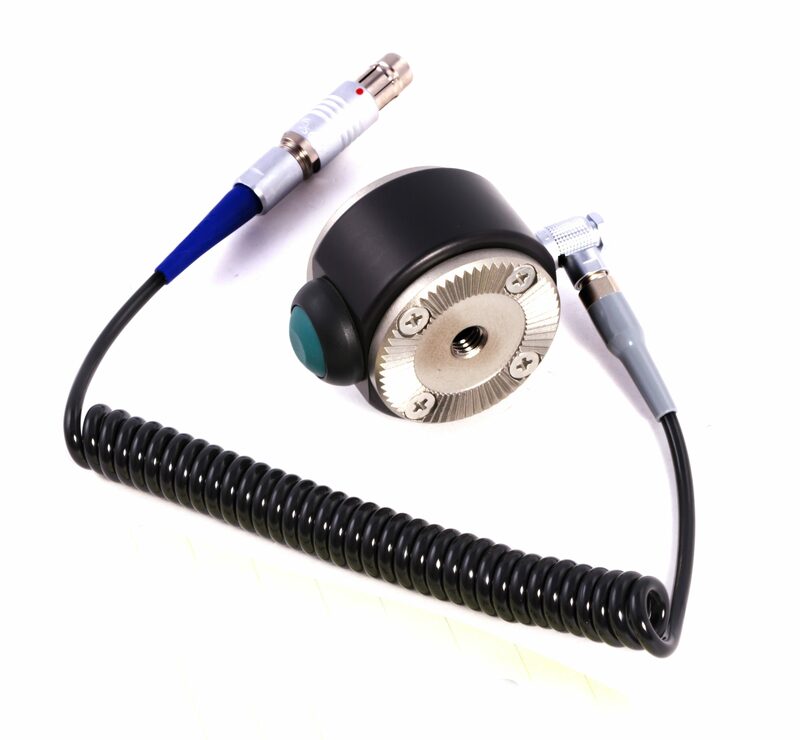 Quick Mount Star Mount with 3/8-16 threaded hole and 1/4-20 threaded stud (comes with locking set screw for articulating arm). 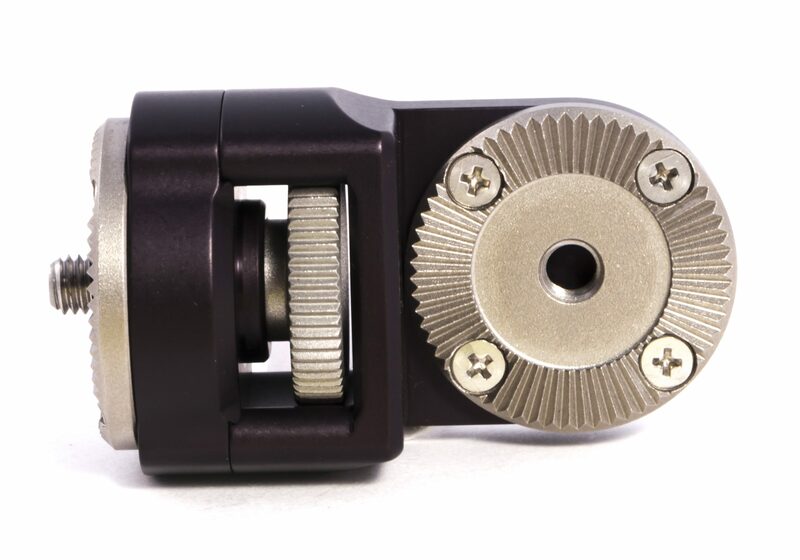 Built in threaded stud also allows you to attach the Star mount into a threaded hole without the use of the Quick Mount barrel mount if necessary. Box dimensions: .1 x .2 in. 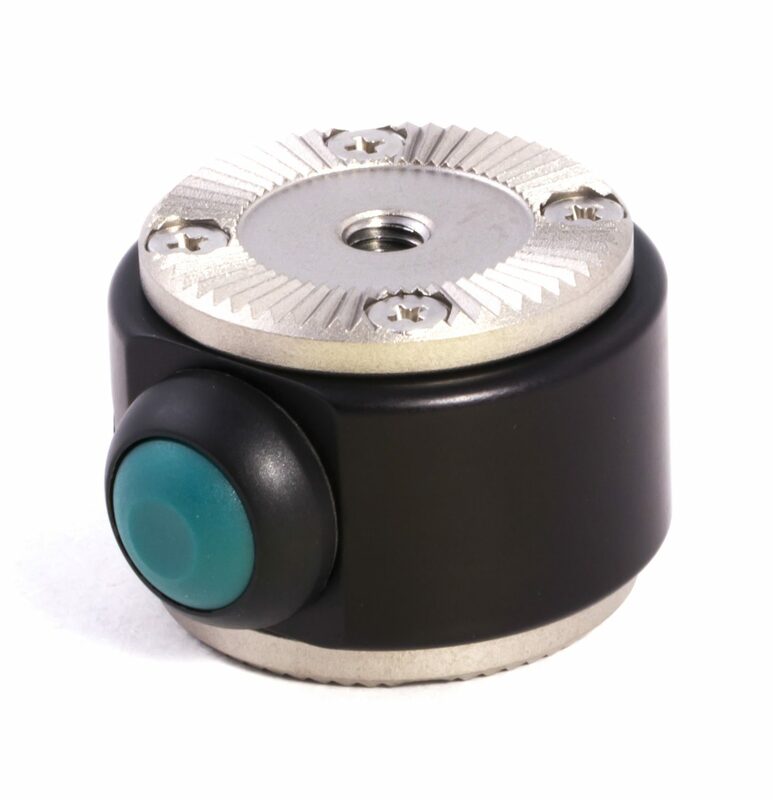 Box dimensions: .3 x .3 in. 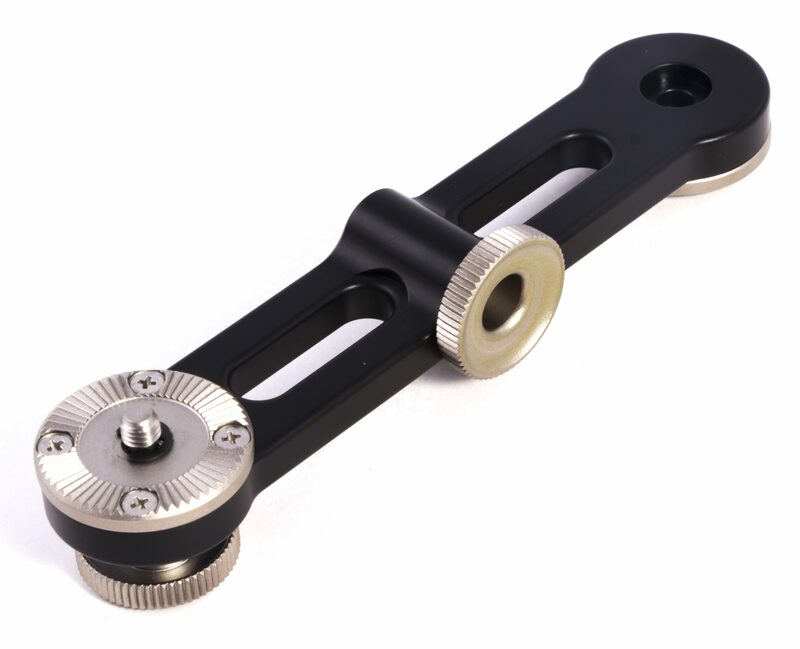 15mm iris rod accessory bracket for Arri Alexa, Alexa Mini and Arri 24V film cameras. 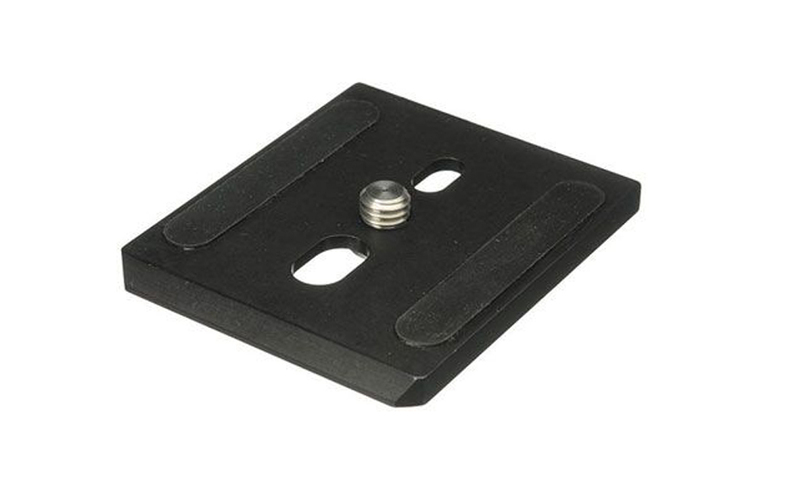 Bracket attaches to Arri standard 3/8-16 UNC mounting holes with 15mm spaced 3mm registration pin holes on each side. 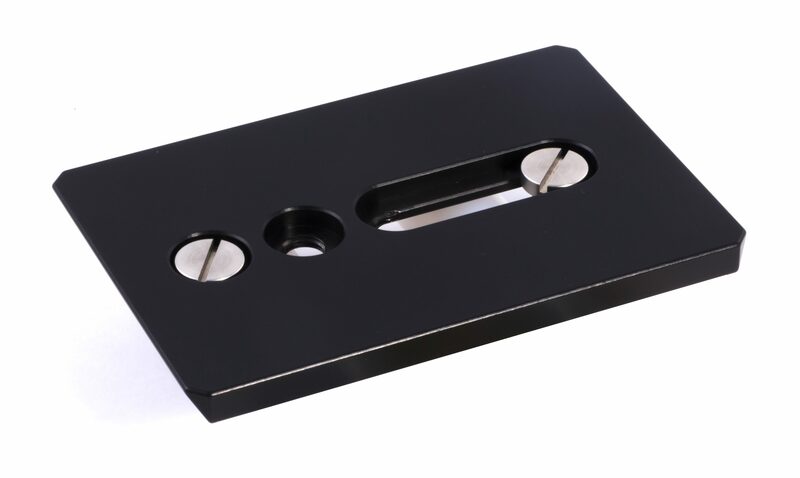 Box dimensions: .75 x 1.55 x 1.75 in. 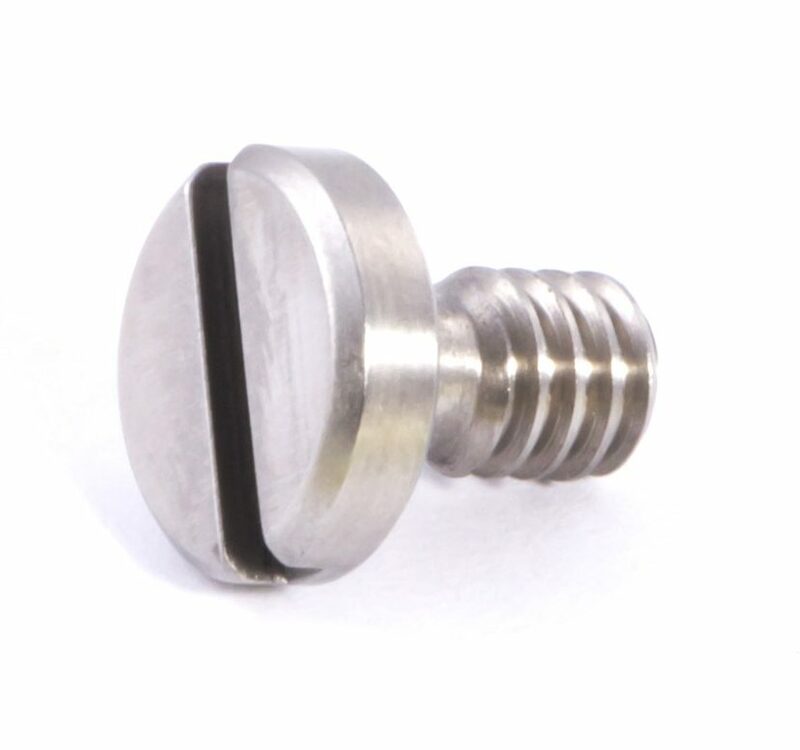 3/8-16 UNC thread stainless steel tie-down bolt for Arri Alexa Steadicam bottom support baseplate ALX-STBP. 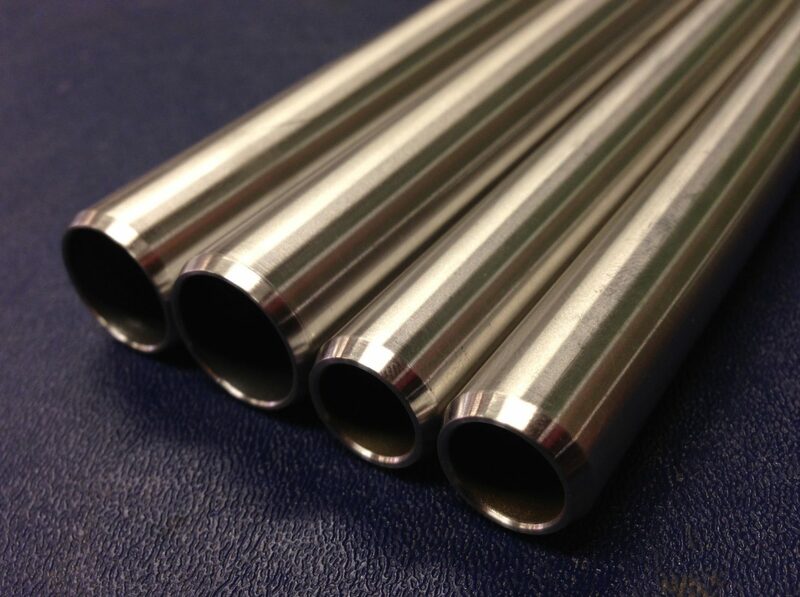 Box dimensions: .55 x .775 in. 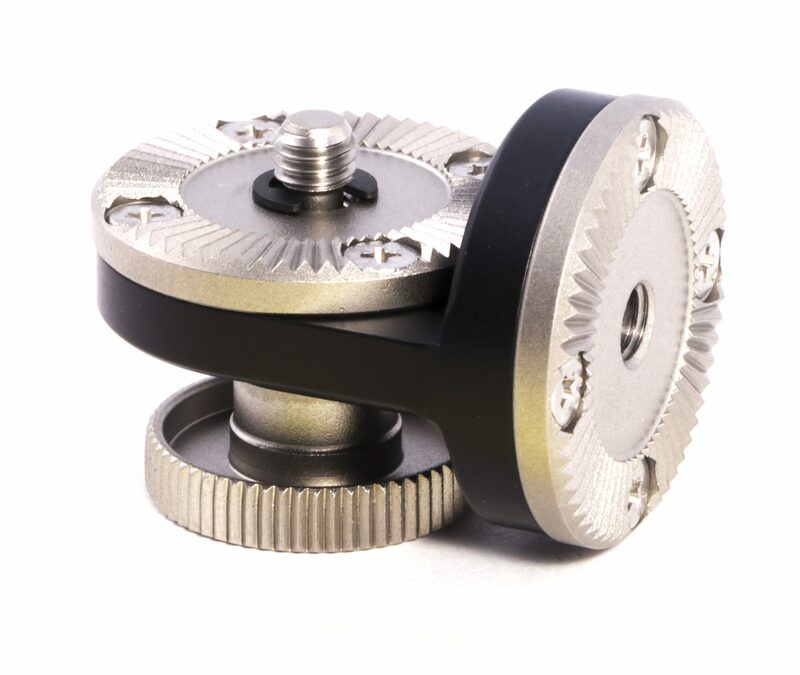 Camera rosette barrel extension bracket. 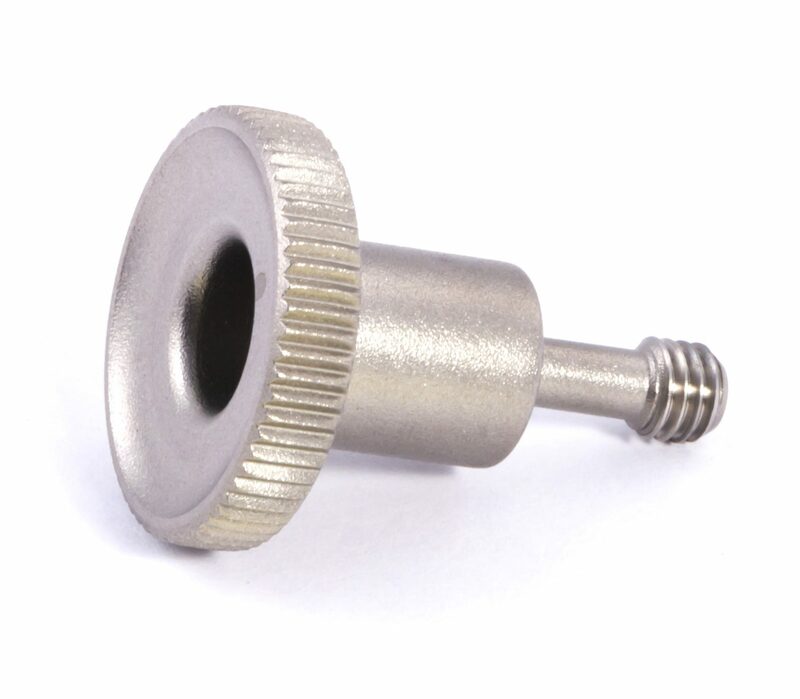 Compatible with Arri standard rosette with M6 x 1 thread. 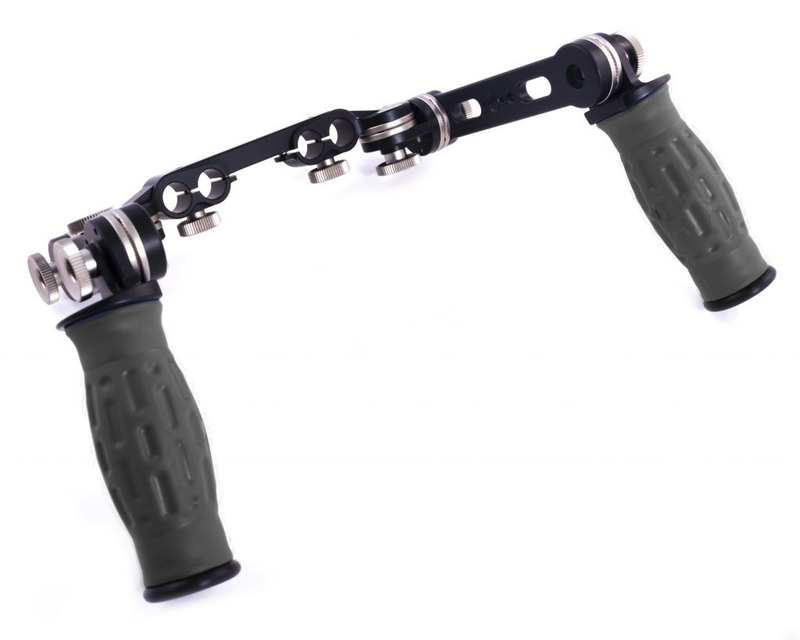 Spidergrips handset complete with left and right side adjustable extension bars and left and right side Camera rosette barrel extension brackets (Item #SP-BE), replacing center bracket and left and right ‘T’ brackets. Box dimensions: 1.4 x 1.4 x 7.5 in. Box dimensions: 1.4 x 1.5 x 7.8 in. Box dimensions: 1.3 x 1.4 x 6.2 in. 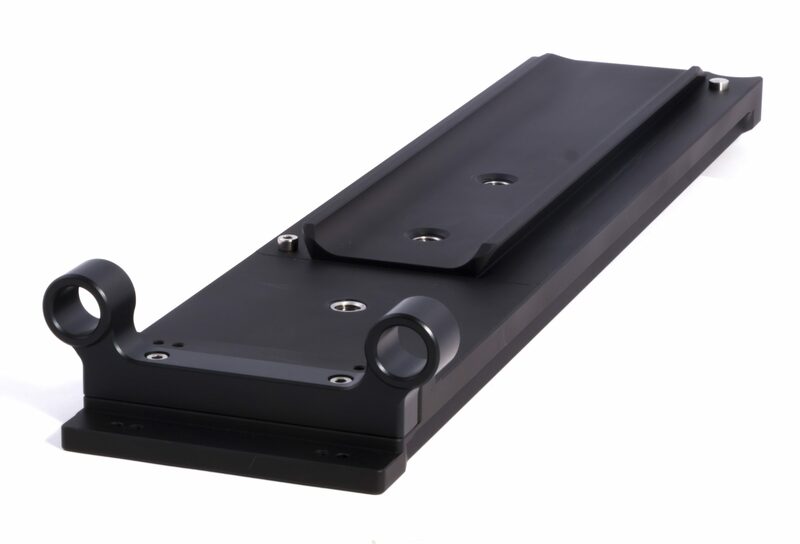 Box dimensions: 1.3 x 1.4 x 1.8 in. 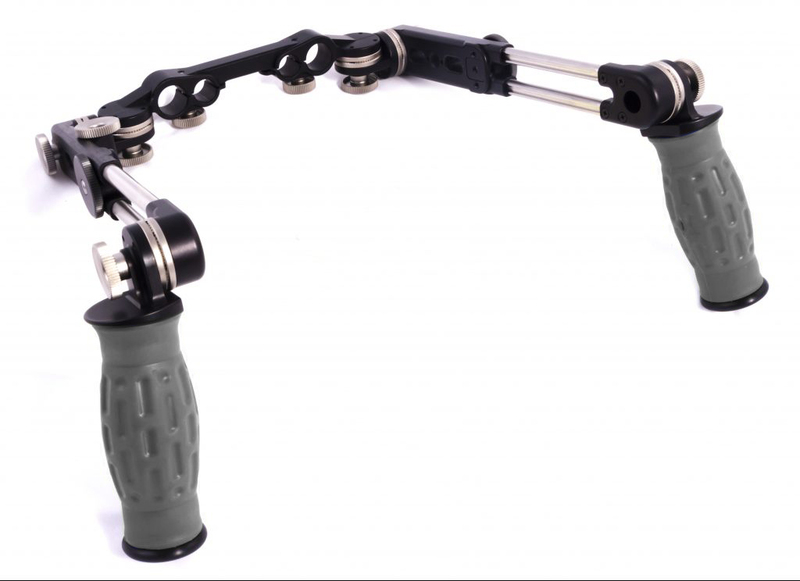 Spidergrips left side adjustable extension bar, uses 2 high strength stainless steel travel-rods with an extension range of 3.125 in. 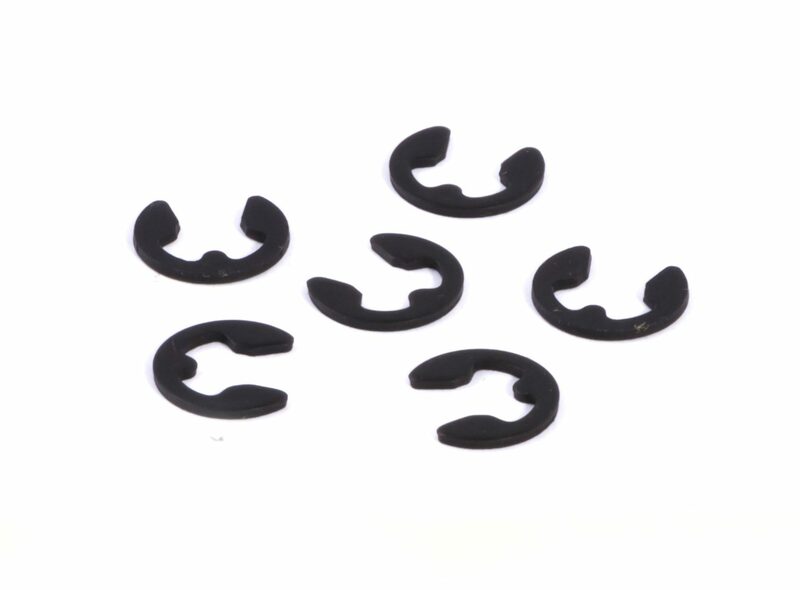 Spidergrips M6 accessory thumb knob retaining e-clips (set of 6 e-clips). 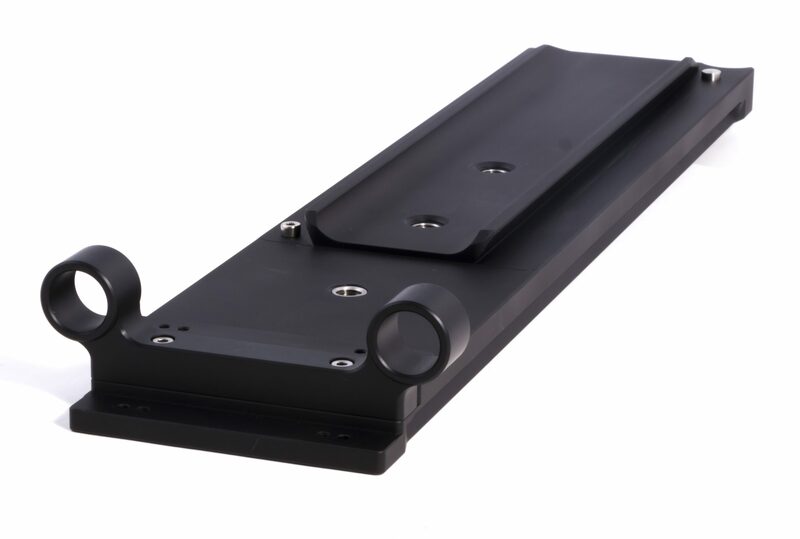 Box dimensions: 1.3 x 1.5 x 3.6 in. Box dimensions: 1 x 1.5 in. 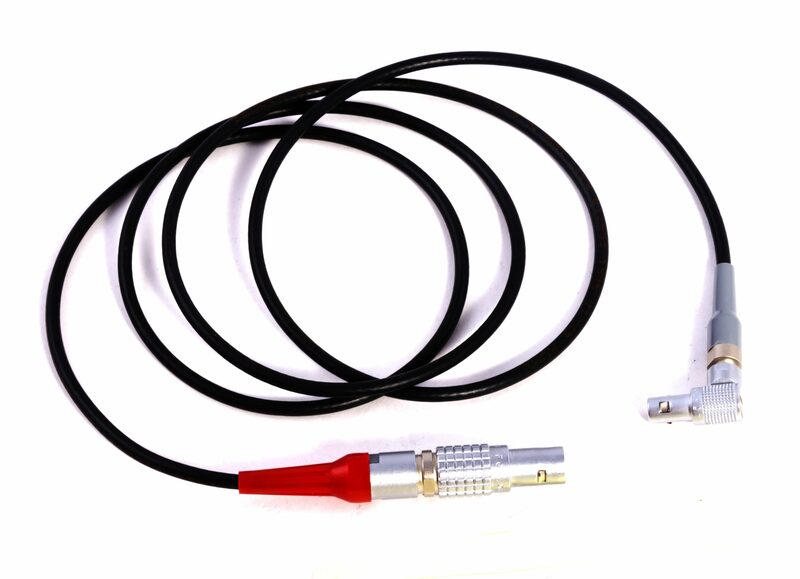 Box dimensions: .6 x 36 in. 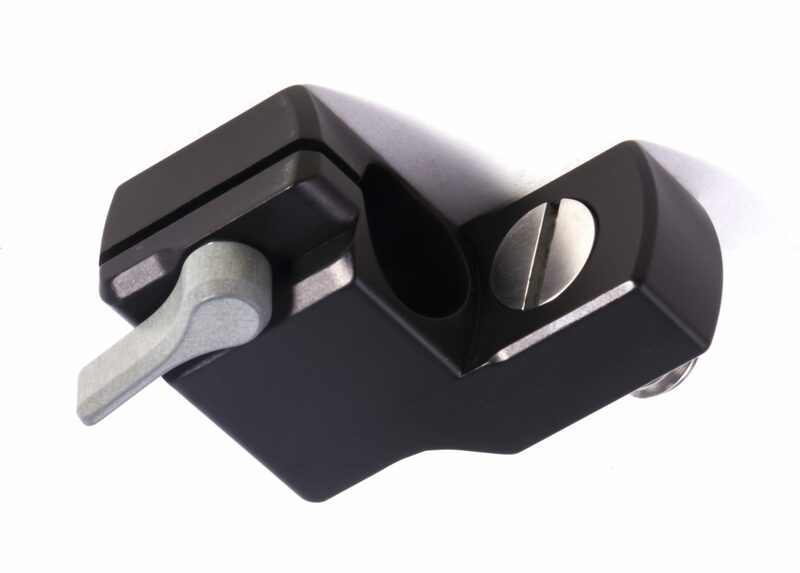 Spidergrips on/off module 36 in. 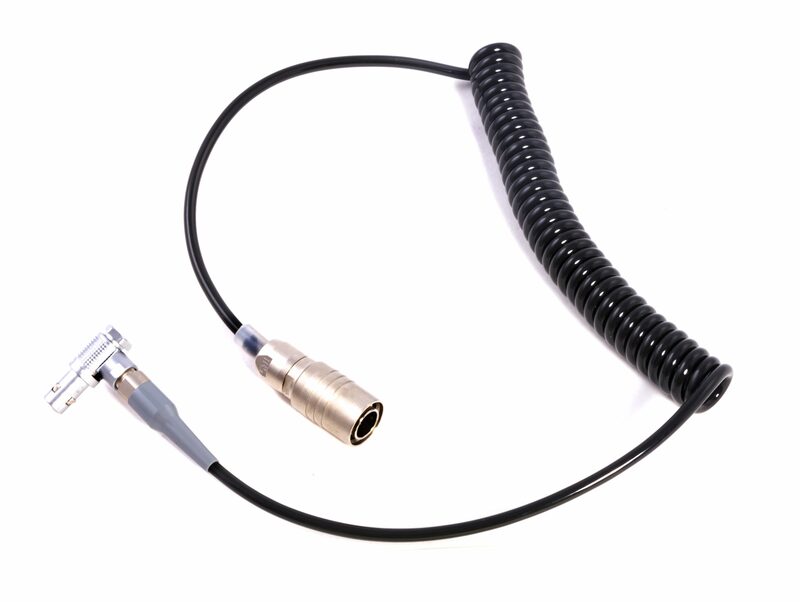 straight open-ended camera control cable. 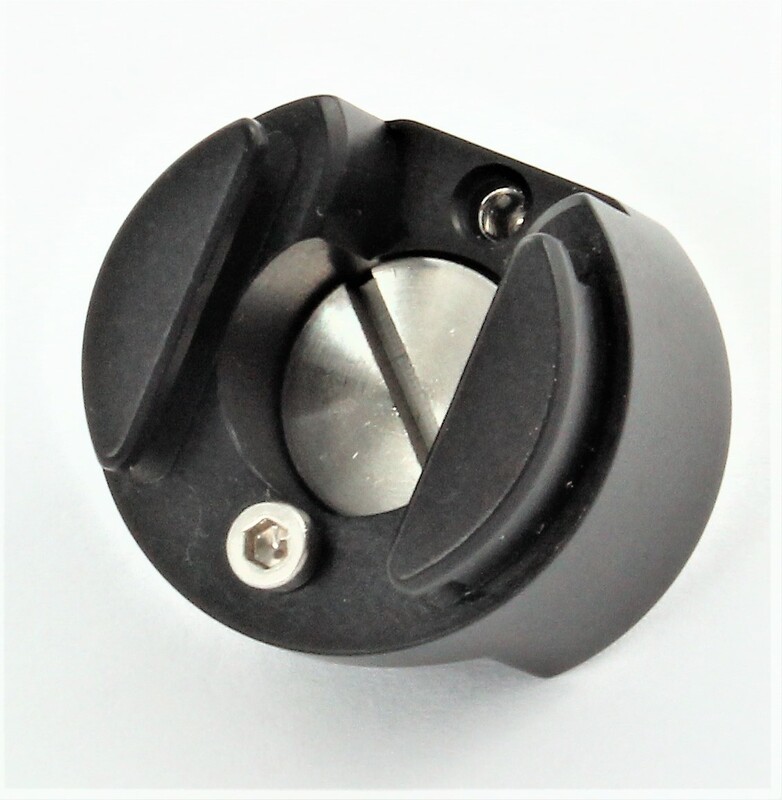 M6 accessory thumb-knob for Spidergrips standard 6 in. 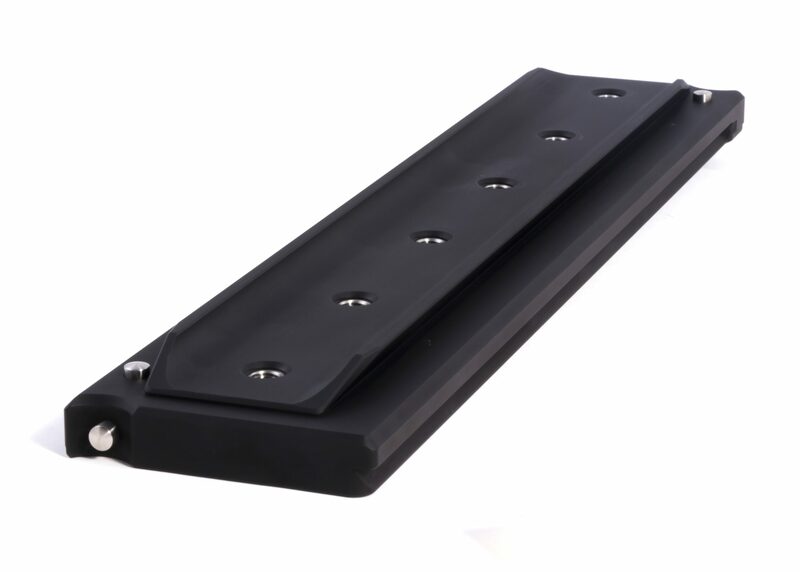 extension bar. 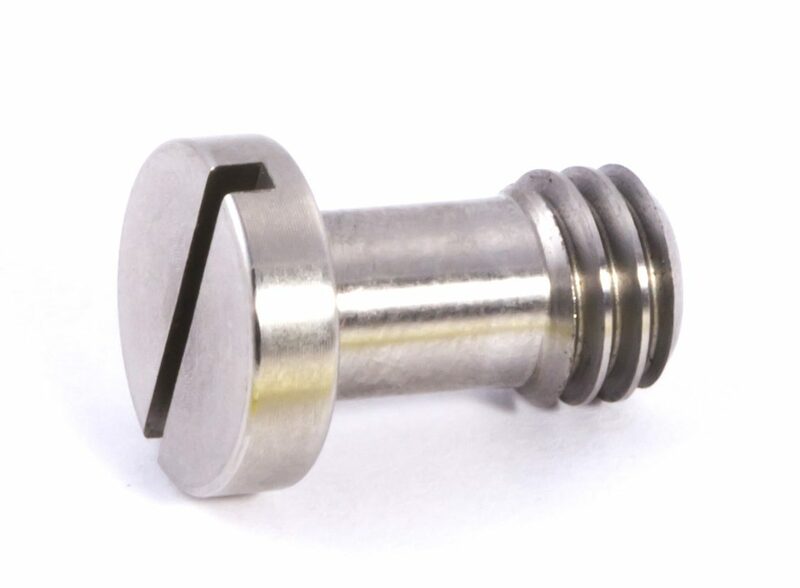 Specifications: Bolt thread: M6 x 1 Weight: 0.5 oz. Box dimensions: 1 x 1.2 in. 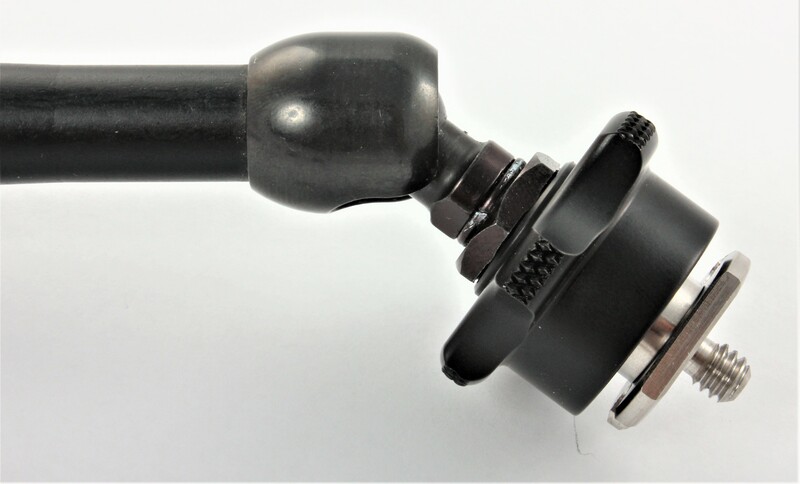 M6 accessory thumb-knob for Spidergrips adjustable extension bar. 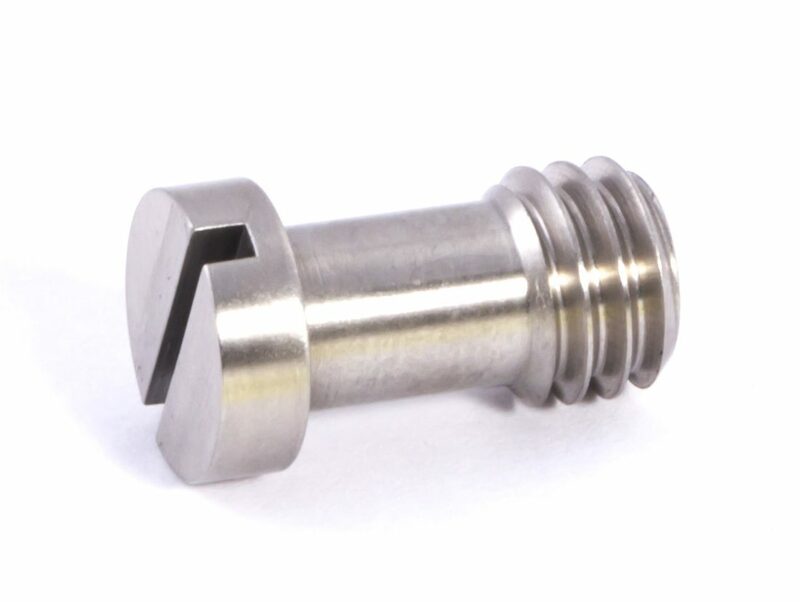 Specifications: Bolt thread: M6 x 1 Weight: 0.7 oz. Box dimensions: 1 x 1.3 in. 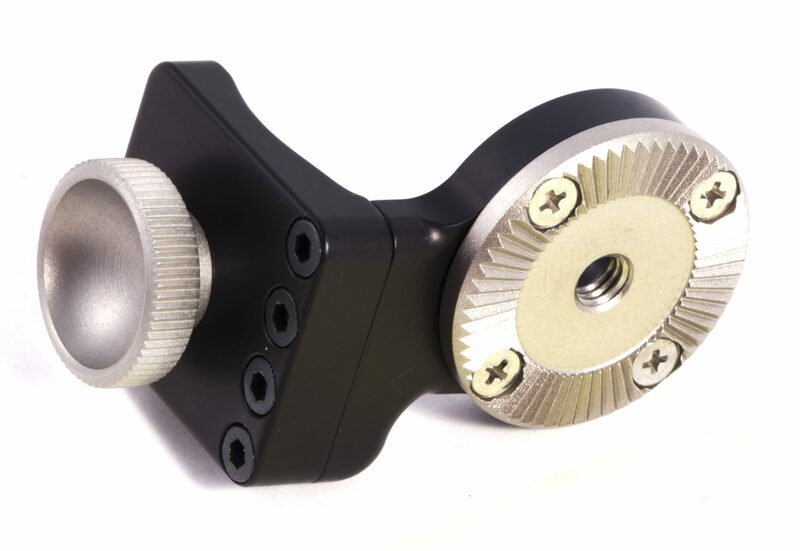 Spidergrips camera rosette adapter bracket. 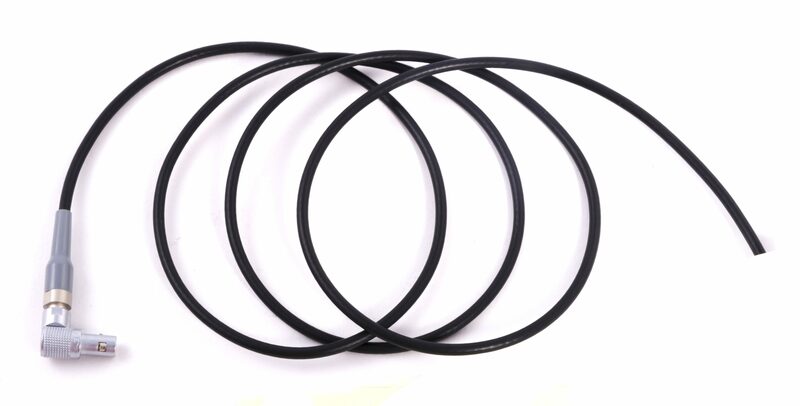 $175 per each bracket Specifications: Weight: 3 oz. 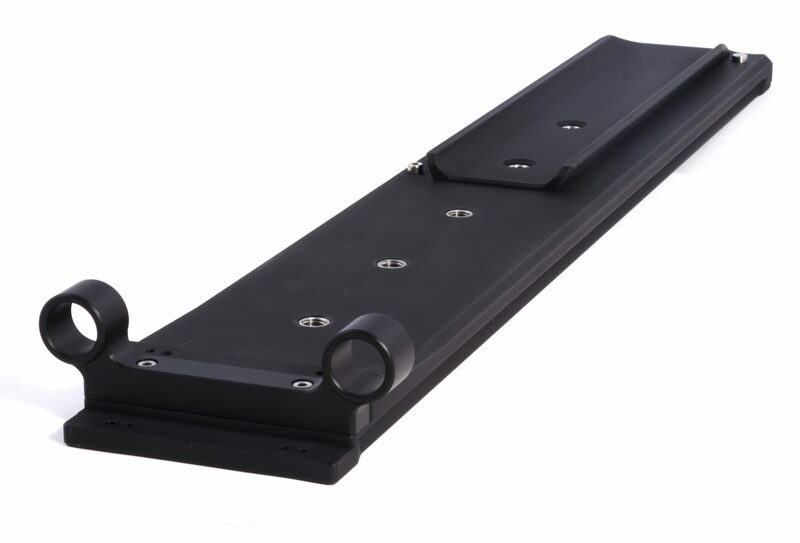 Box dimensions: 1.3 x 1.5 x 2.6 in.